I am currently enjoying reading Chris Bilardi’s excellent The Red Church, and was not surprised to see that Psalms are used as part of the art of the Pennsylvania German Braucherei (commonly called Pow Wow). Having recently worked with Paul Harry Barron on The Book of Gold, I could not but help be struck by how common the magical use of the Psalms actually is. 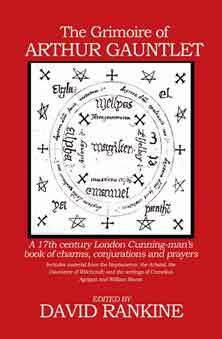 Not only were the Psalms commonly used in grimoires like The Key of Solomon and the Goetia, but also in Jewish folk magic, Judaism, Christianity (from its early origins onwards), Hellenic magic, the magic of Cunning-folk, Hoodoo. This makes the Psalms a magical nexus which crosses between religions and magical systems in a way rarely seen. The diversity of uses of the Psalms is also staggering, from divination to healing, protection to death spells, winning honours to conjuring spirits, the list of uses is extensive. Commonly the uses are simple and do not require complex ingredients or preparation (with the exception of some of the grimoire uses). Not only do the Psalms cross systems, but they also retain their inherent efficacy in different languages. Having used and/or seen them used in Latin, Hebrew, Greek and English, each language has its own cadence, power and beauty in the words, demonstrating the inherent magic of the words (I am sure the same is also true of other languages like French, the original language of Le Livre d’Or – The Book of Gold). So next time you think of magical practices, spare a thought for the Psalms, and remember that all religions have magic in them, whether it is called that or not, and whether it is discrete and hidden or public and clearly visible!